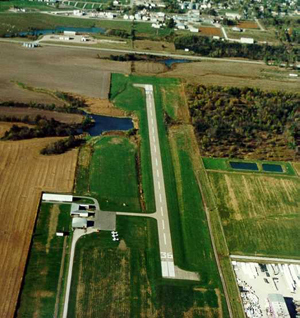 Bloomfield Airport Runway Improvements – French-Reneker-Associates, Inc. The central 2,800 linear feet of the runway and the 180-foot long taxiway were constructed in 1986 and exhibited severe “D” cracking at the joints. There was a 270-foot long by 54-inch diameter corrugated metal culvert at a depth of 22 feet under the runway pavement which was severely rusted and near collapse. The culvert was lined using cast-in-place pipe (CIPP). The runway renovation consists of replacing the central 2,800 feet of runway, widening it from 50 to 60 feet; replacing the taxiway; replacing all of the runway lights; and the addition of precision approach path indicator (PAPI) lights. The estimated cost of this project is $1,300,000 and will be funded by an FAA Airport Improvement Program grant and local funds.